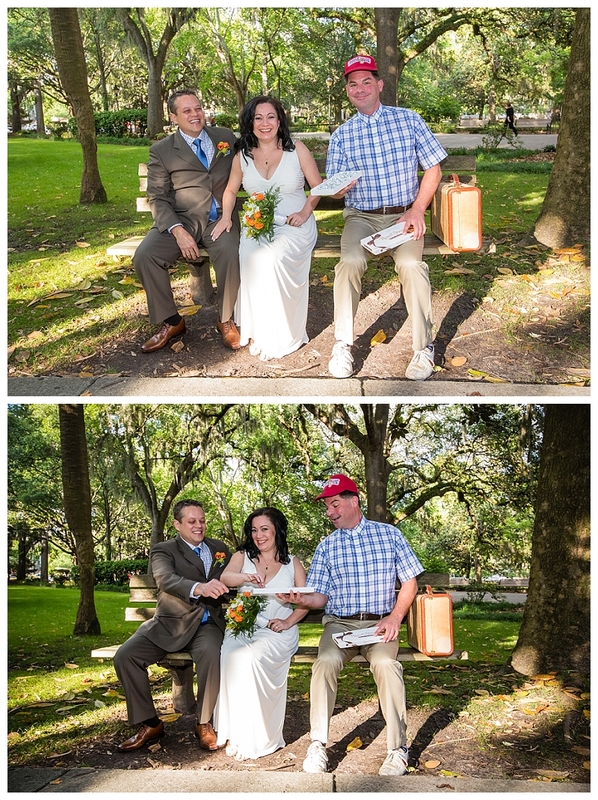 Sometimes you just never know who you might bump into while getting hitched in Savannah! 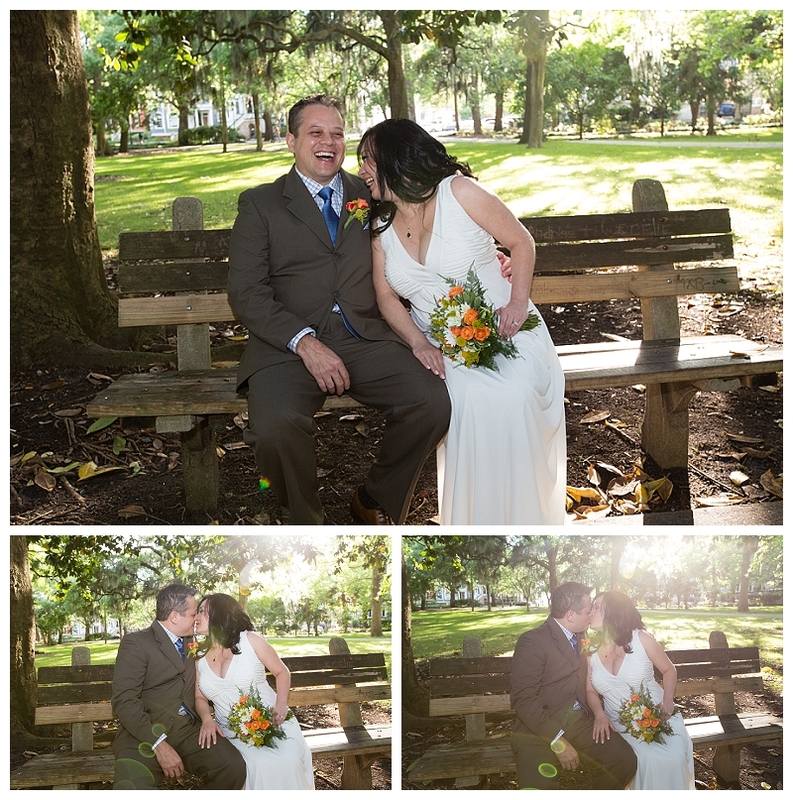 As we were walking around taking some fun shots after the ceremony, who do we see but Forrest Gump himself! Which was AWESOME. And he was so sweet to pose with us too. 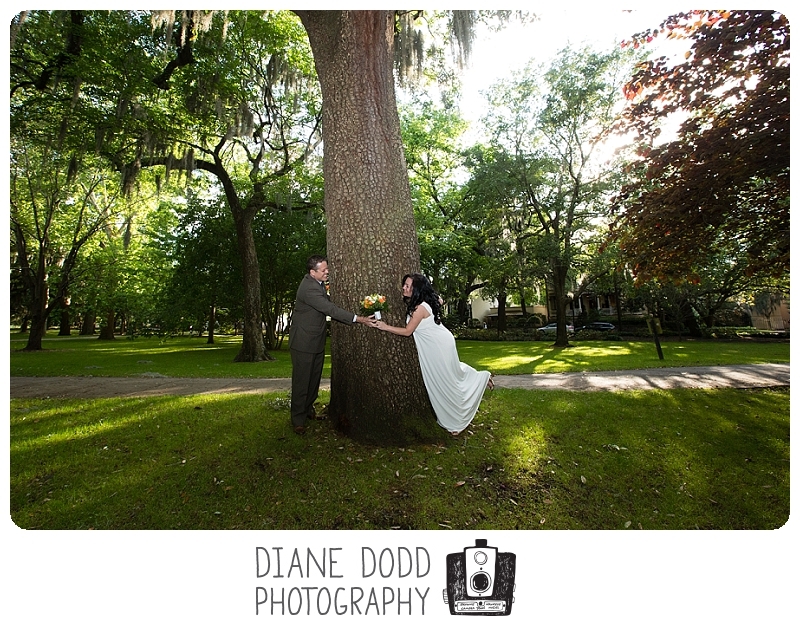 I love Savannah weddings! Donnie & Maria were married by Rev. Schulte on a beautiful spring day in Forsyth Park. 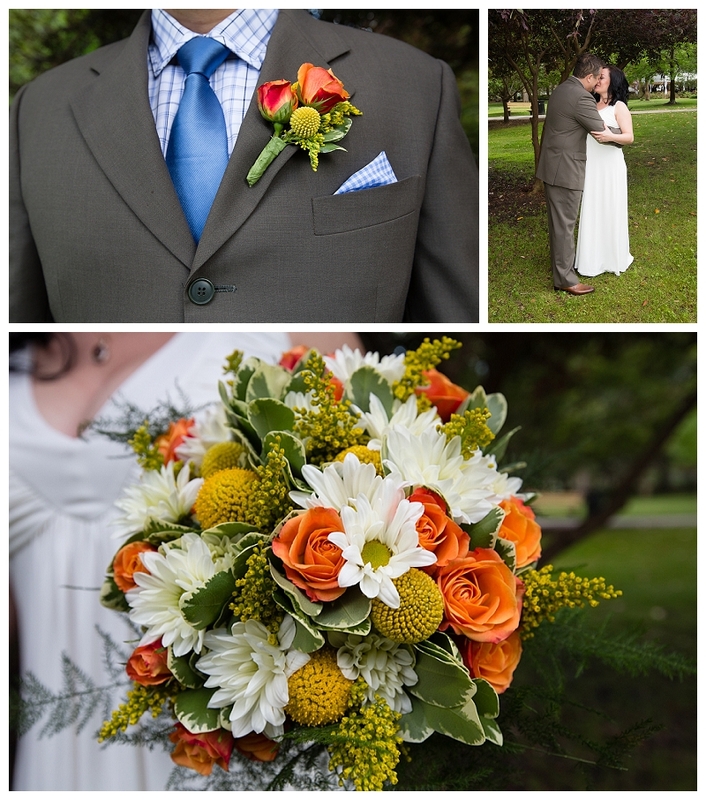 I just loved the colors in the bouquet and boutonniere that came from Lester’s Florist. 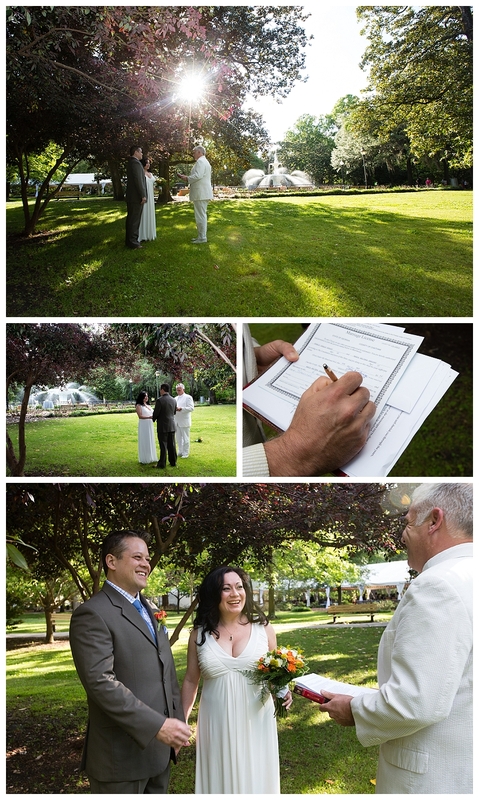 Congratulations to Donnie & Maria! I will never forget our brush with Hollywood lol. 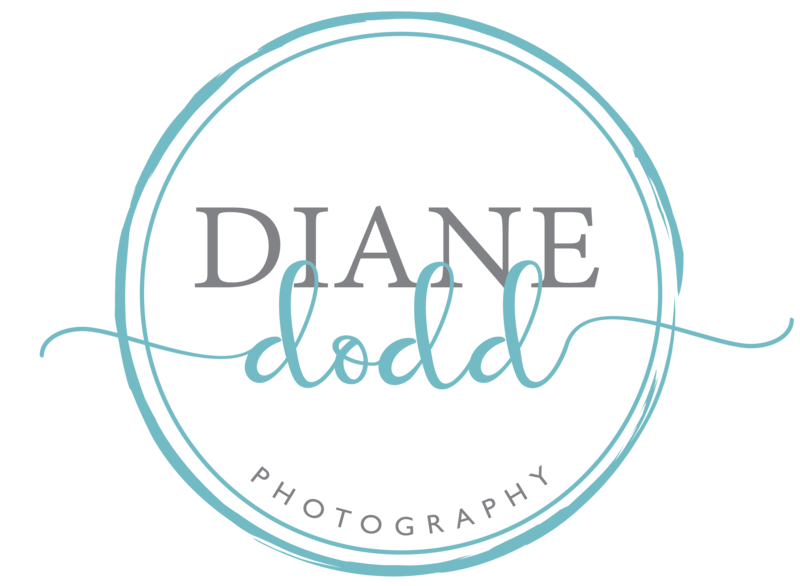 *Are you planning a surprise wedding proposal or are you recently engaged and searching for a wedding photographer for your Savannah destination elopement or wedding? 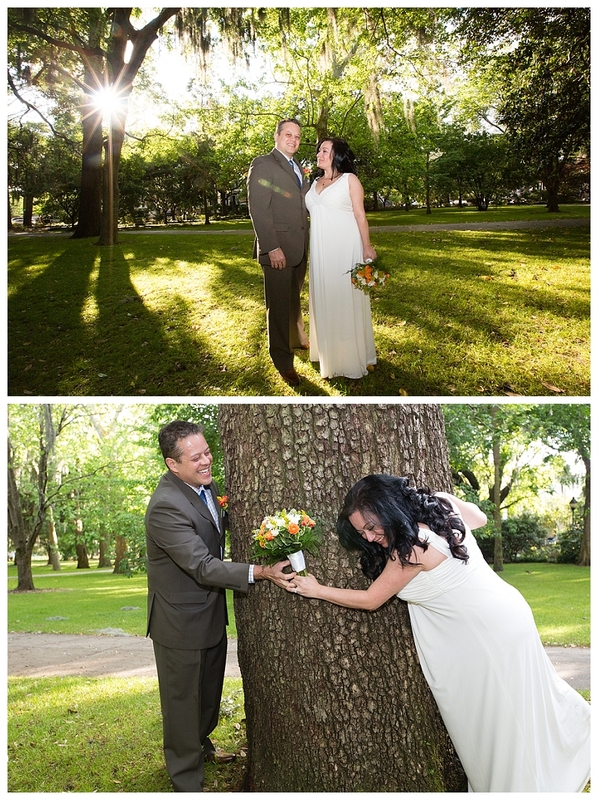 If yes, please review some of my recent wedding work and if you like my style, I would love to chat with you! You can reach me via email right HERE, or by phone at 912-414-0824.